Andy made a brief visit to Langkawi in February 2018. With our wines in many amazing markets it gives us the opportunity to see some new and exciting developments. 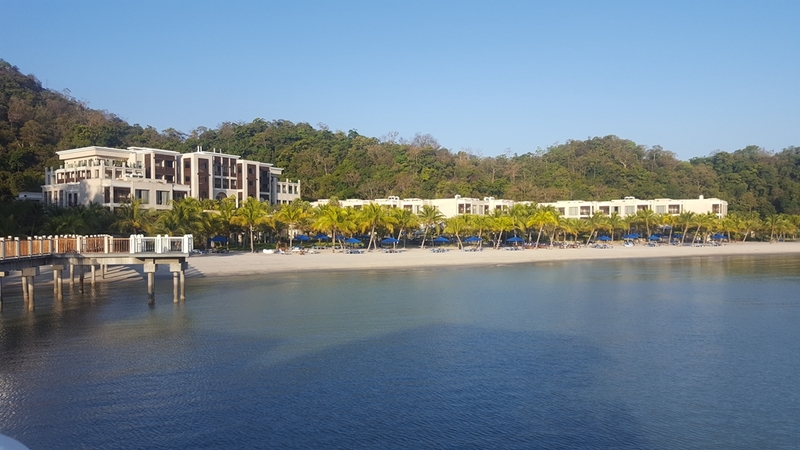 On a recent visit to the Malaysian Island of Langkawi I had the opportunity to visit two new resorts – The Ritz Carlton and the St Regis – both stunning in their own right – as well as dropping in to some of our regular hotel and resort customers. It was wonderful to see these new developments now open and welcoming guests. 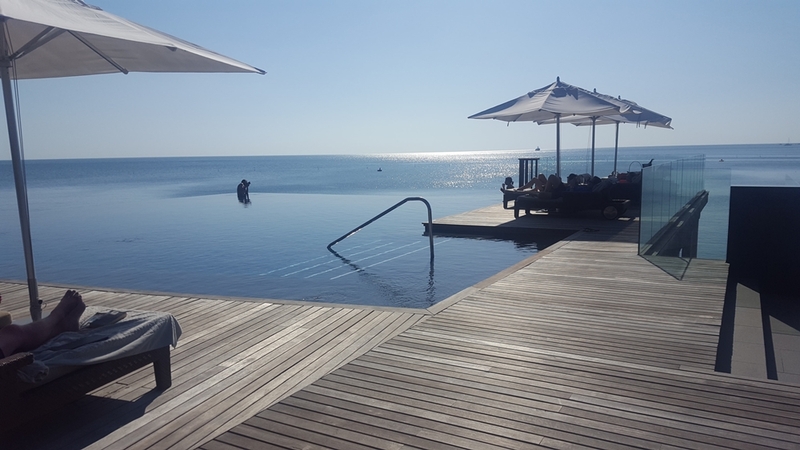 Another bar – a little further around the bay with another infinity pool – hard to see where the pool ends and the ocean starts! The new Ritz Carlton has an amazing location on a bay-front site with sweeping views across the Andaman Sea. They have used the stunning vista to full effect with infinity pools at the bars and elevated restaurants with breath-taking views. Sunset cocktails with this view is something to dream about! And they have some great wines to sip while enjoying it – Misha’s Vineyard of course! 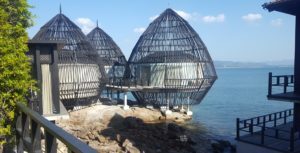 Over water spa pods. Massage anyone? The St Regis is recently completed and has some finishing touches still being applied. 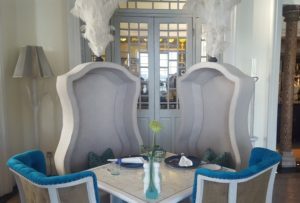 Their new restaurants have some quirky furnishing that has a slightly Alice in Wonderland feel. As well as a new shipment of our wines on the way to Langkawi there are two Misha’s Vineyard wine barrels heading to our importer for a clean-up prior to becoming a part of the St Regis décor. As well as visiting these two new locations, it was great to accompany Mohan – our dedicated and local hero wine importer – to The Datai, The Andaman and The Danna, who have also selected Misha’s vineyard wines for their lists. In fact the Datai was our very first resort customer! 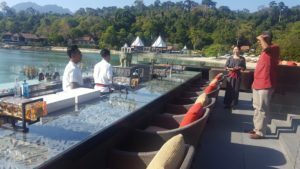 While it was closed during our visit for a major renovation we were delighted to join the Datai F & B team for lunch at the Els Club Teluk Golf Resort. 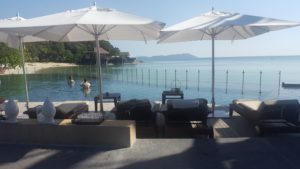 Despite being a small island in size, Langkawi has a host of the most incredible luxury resorts – and as a duty free island enjoys a big reputation as a location for luxury resorts. We’ve visited several times to host wine dinners and meet the wonderful managers and staff who present our wines to their guests and are looking forward to our next trip.